Purchase for $90,000.00 on the day of purchase on the courthouse steps. This home was fairly new and in not too terrible condition. Best of all it was vacant, so we could start on it quickly. 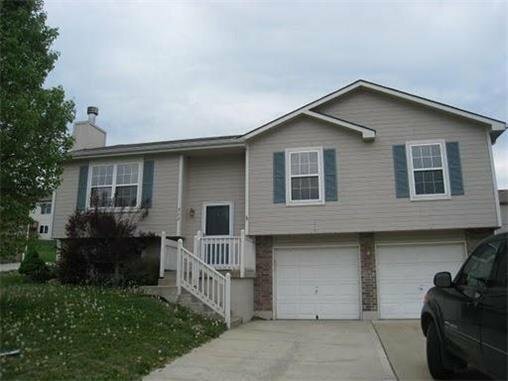 We sold as repaired with the buyer requesting freshly painted interior, new flooring and some exterior repairs. Total in repairs $19,395.86. Holding Costs that includes back taxes, insurance, utilities, and interest, came to $1,328.11. We held this house for 37 days. This home was purchased on the courthouse steps for cash wired to the bank trustee attorney completing the sale by 5 pm the day of sale in the amount of $90,000. We learned about this home the day before the sale and took a drive by. In observing we noted that the home was vacant. Home needed renovated as the finishes were dirty and worn. Yard was overgrown. But over all not in to horrible shape. We could not get inside of this home, but were able to look into windows. We then turned to running the numbers of recent homes sold in the area and found home selling between $130,000 and $150,000 for average homes. Siding Repairs and Exterior Paint Touch up. We listed home for sale in the MLS and marketed heavily to local Realtors who work the area as well as the top 20 or so home selling web sites including CraigsList. We listed at $119,900 as repairs. We had multiple showings that resulted in several different offers. We accepted the $129,000 offer that had us doing the least in repairs.